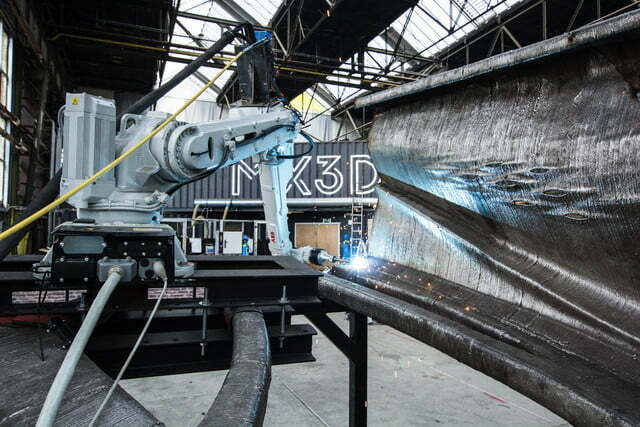 For the past three years, the Dutch 3D-printing company MX3D has been working to build what is possibly the world’s coolest steel footbridge. 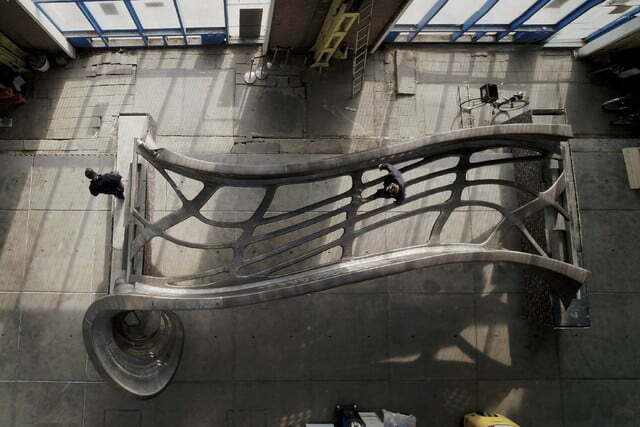 Designed to stretch across Amsterdam’s Oudezijds Achterburgwal canal, the quasi-organic-looking footbridge looks like something H.R. 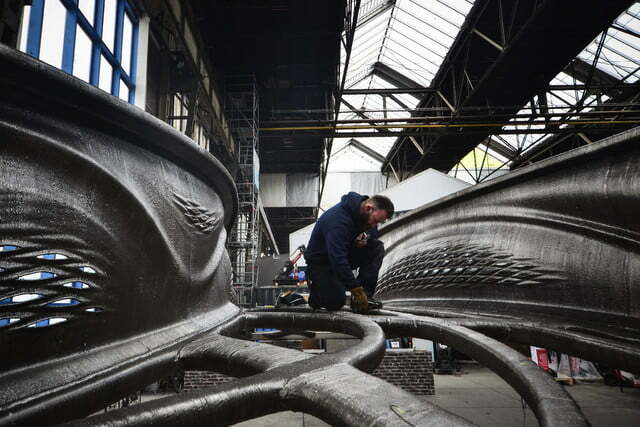 Giger would’ve created had he pursued a career in civil engineering. 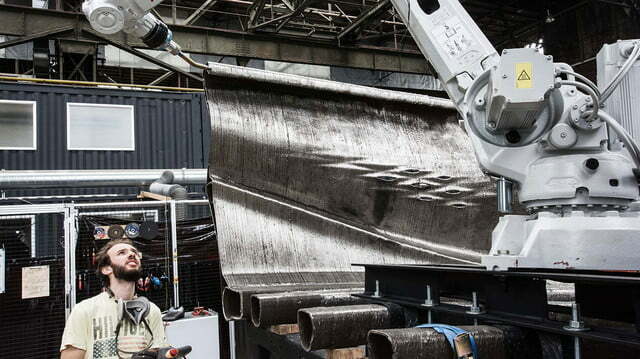 Aside from its look, what makes the bridge exciting is its method of construction — which involved four special welding robots capable of laying down layers of molten metal. 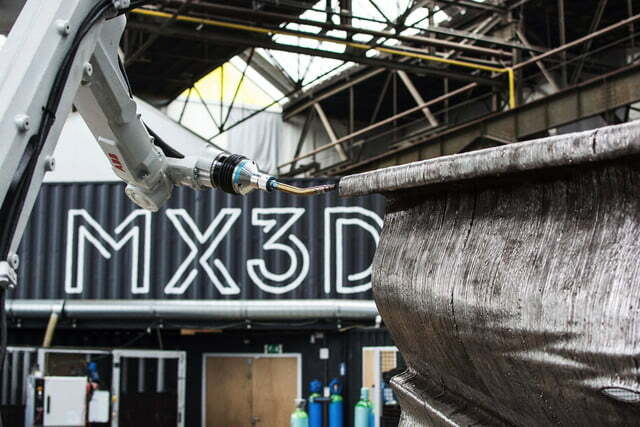 Originally, the idea was to print the bridge “live” over the canal. But this ambitious idea — which would have made for spectacular viewing for passers-by — fell by the wayside, due to permits, budget, and time constraints. 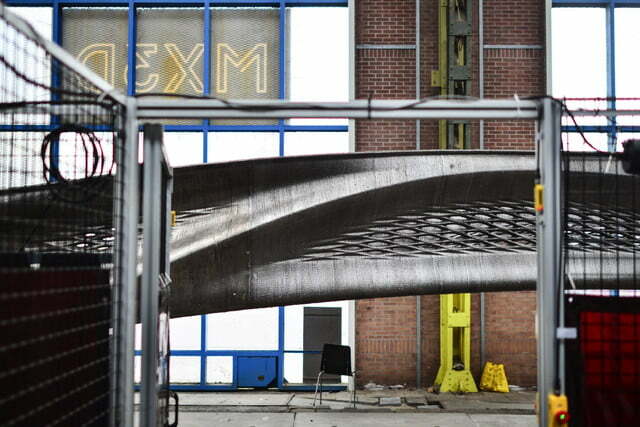 As a result, the team printed the bridge in their workshop. They also had to scale down some of the wackier aspects of the design, although the finished product still looks spectacular. 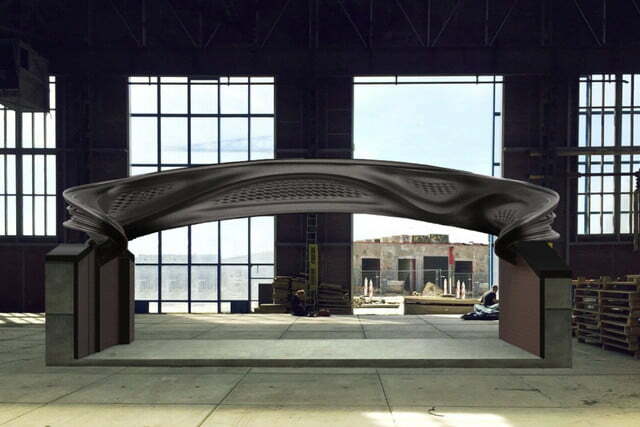 Now that the bridge is finished, the team will next put it through its paces for load-bearing, using a variety of smart sensors and 3D scanners to test for its durability. By October 2018, final tests will be carried out and the bridge can then be installed.